October 16, 1938: “Judy Garland Sews A Fine Seam.” The young singer takes over a sewing machine to mend a dress. She has the skill to make one, but, nowadays, not the time. October 16, 1939: Judy recorded “Oceans Apart”; “Figaro,” “Embraceable You” and “Swanee” for Decca Records. The singles were not released until the spring on 1940. Judy re-recorded “Embraceable You,” with the opening verse, for Decca in 1943 when recording the songs from her recent film, Girl Crazy. Check out The Judy Garland Online Discography’s “Decca Records” Section for more about Judy’s Decca recordings. 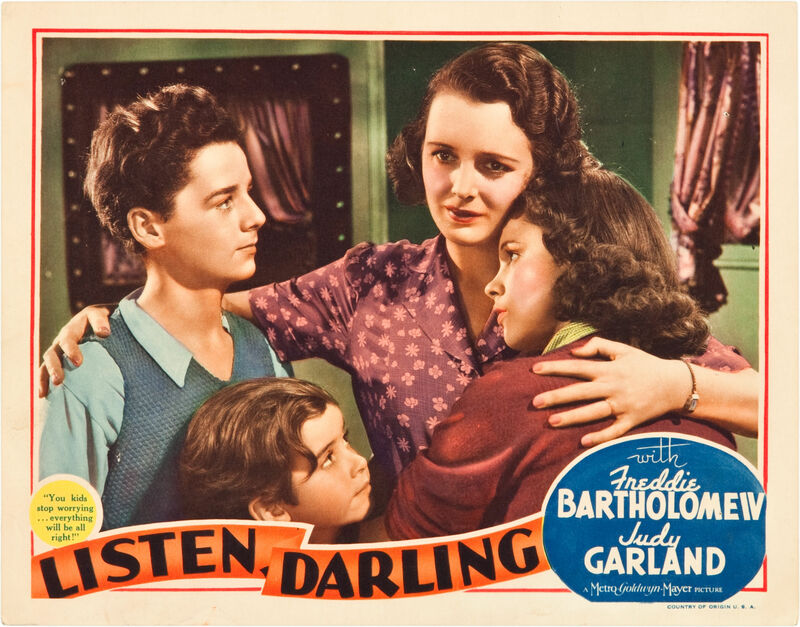 October 16, 1939: Listen, Darling was released on this date. 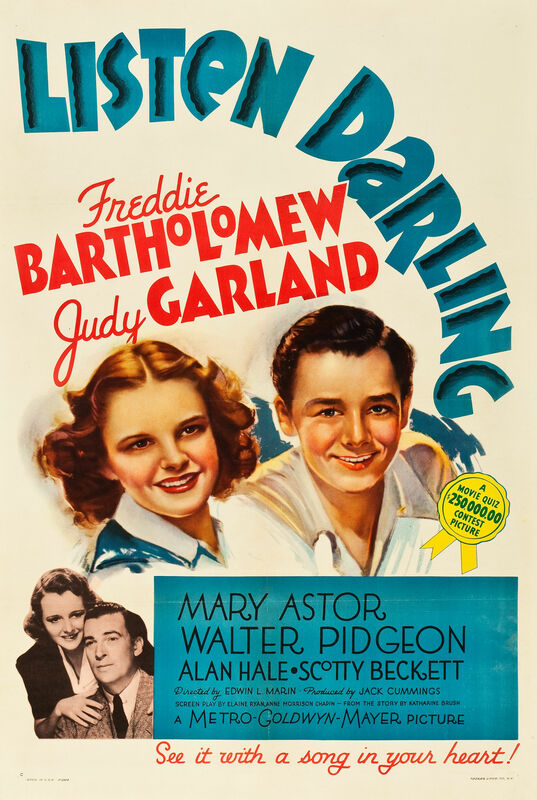 October 16, 1942: Judy pre-recorded “Paging Mr. Greenback” for the film Presenting Lily Mars. The number was the original finale to the film before it was decided to record and film an entirely different production number. The film no longer exists but the audio does, in glorious stereo! Check out The Judy Room’s Extensive Spotlight on Presenting Lily Mars here. 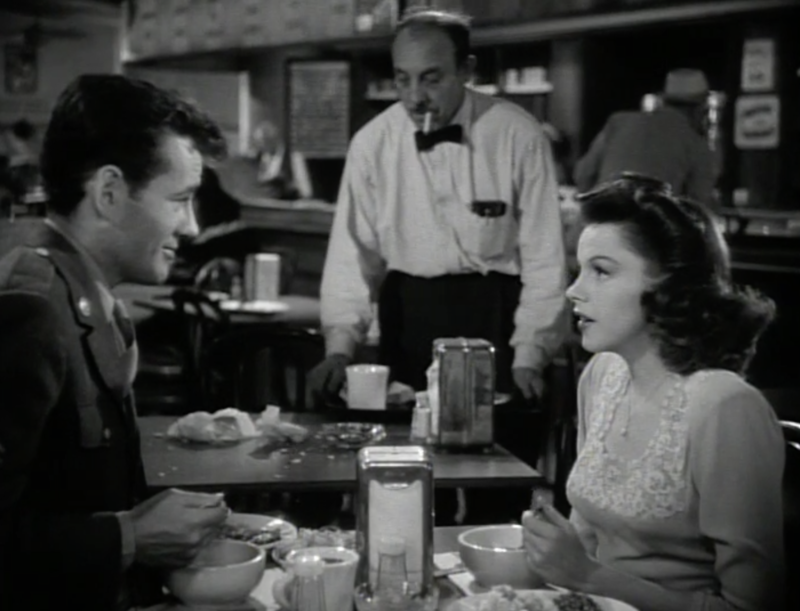 October 16, 1944: Filming on The Clock continued with scenes shot on the “Interior Dingy Restaurant” set. Time called: 10 a.m.; dismissed: 6:05 p.m. Check out The Judy Room’s Filmography Page on The Clock here. 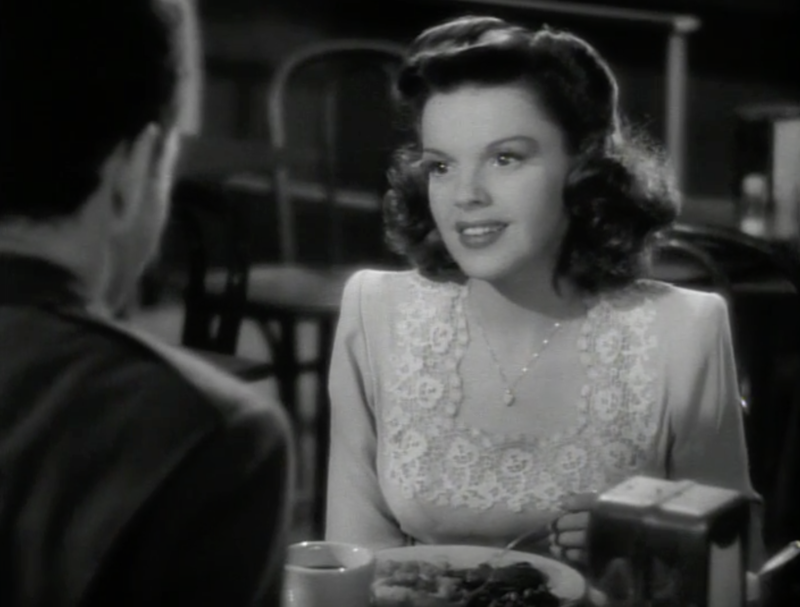 October 16, 1945: Till The Clouds Roll By filming continued with the “Look For The Silver Lining” number. 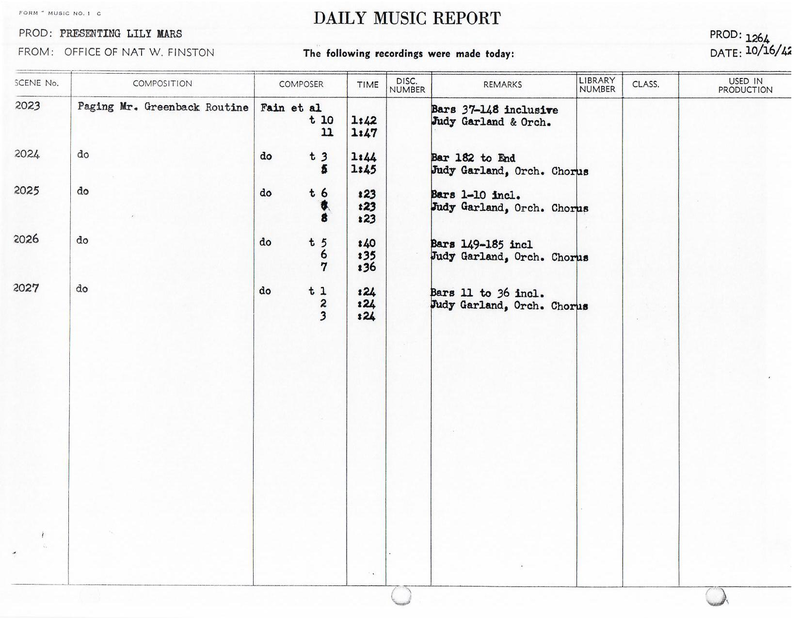 time called: 10 a.m.; dismissed: 4:45 p.m.
October 16, 1947: Judy had a music rehearsal of “Mr. Monotony” for Easter Parade. Time called: 12 p.m.; dismissed at 3 p.m. This is also the day that Fred Astaire took over the role of “Don Hewes” from Gene Kelly, who had broked his ankle on October 13th and couldn’t complete the film. Astaire began rehearsals on this day as well. 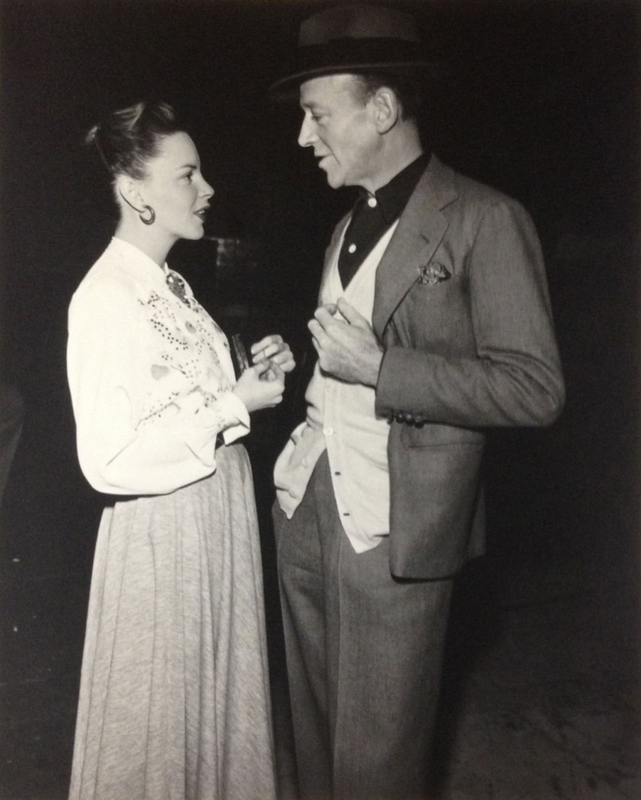 Check out The Judy Room’s Extensive Spotlight on Easter Parade here. October 16, 1951: Judy’s legendary first appearance at The Palace Theater in New York City. The engagement made Broadway history, brought Vaudeville back to The Palace, and firmly established that seeing Judy Garland perform on stage was one of the greatest experiences in a person’s lifetime. The appearance was such a success that the scheduled four-week run was extended to a record nineteen weeks! 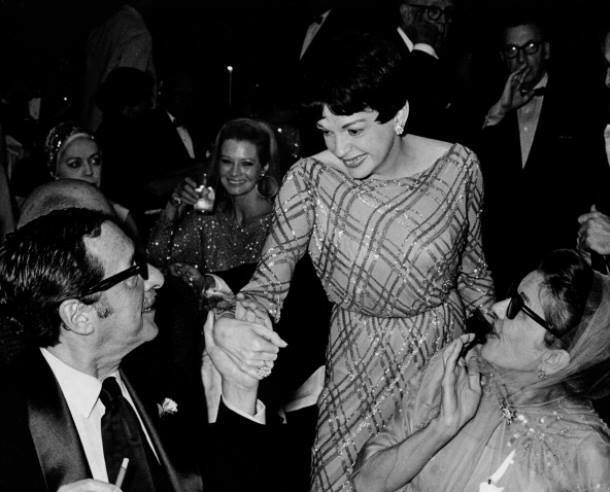 October 16, 1956: On the 5th anniversary of her Palace premiere, theater management announced onstage that they were mounting a gold plaque backstage to christen the “Judy Garland Dressing Room”–and they presented the Judy with a gold key to its door. 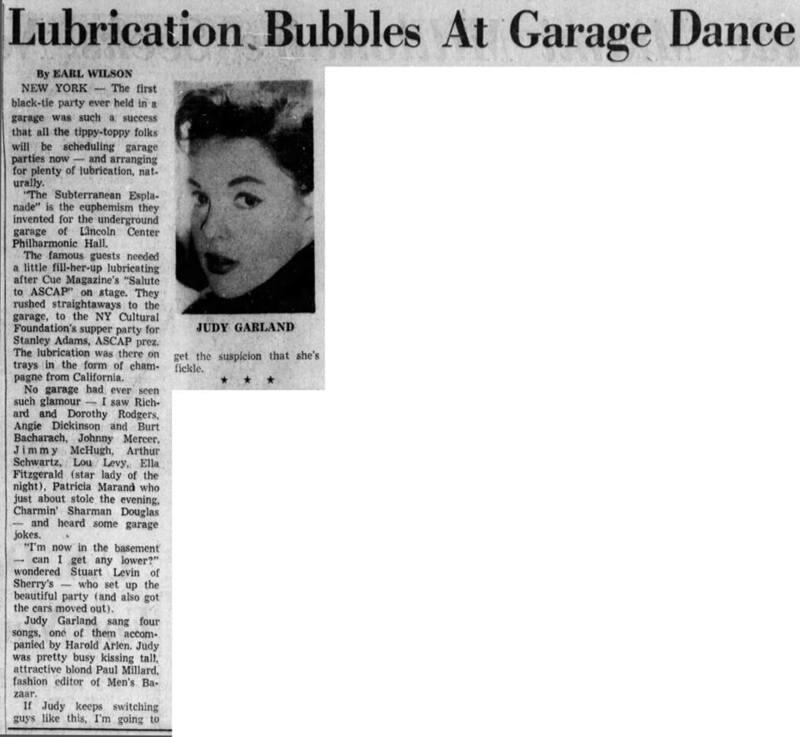 October 16, 1957: Judy opened her show, “The Judy Garland Show,” at the Dominion Theater in London, England. This was her first London appearance since beginning her “concert years” there at the Palladium in 1951. Earlier in the day, Judy had lunch with Aly Kahn, but reportedly hardly touched her salmon. She tried to rest but couldn’t and left for the theater at 5 p.m., three hours before the show started. Judy’s act, with her “ten boyfriends,” played the second act. The first act was filled with various Vaudeville acts. $180,000 was spent refurbishing the venue which had an advance ticket sales of $100k. The new “Garland Overture” premiered here, arranged by Buddy Bregman. Judy’s songs: “It’s So Lovely To Be Back In London” (Capitol/EMI provided a special 45 record of the newly recorded song to the guests); “I Feel A Song Coming On”; “Judy’s Olio”; “Come Rain Or Come Shine”; “The Man That Got Away”; “Rock-A-Bye Your Baby”; “Lucky Day”; “how about Me?” “We’re A Couple Of Swells” and “Over the Rainbow.” Her encores were “Me and My Shadow” and “Swanee.” Gordon Jenkins conducted. October 16, 1958: Many of us remember the good ol’ days of waiting for the local TV stations to play a Garland film on “The Late Show” or “The Late, Late Show” (and sometimes even later) as well as midday shows on weekends or weekdays. 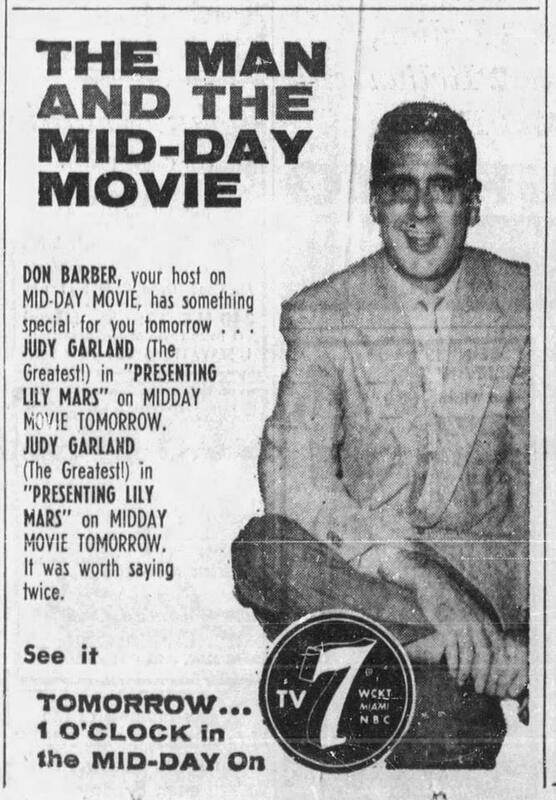 Apparently, Don Barber in Miami, host of their midday movie, loved Judy calling her “The Greatest!” twice in this ad. Or, the person who created the ad loved her. Or both! 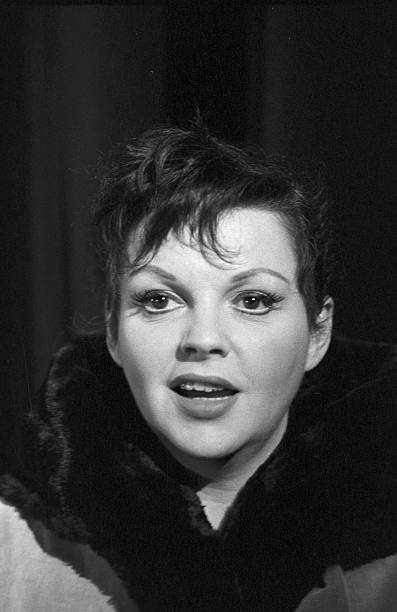 October 16, 1960: Judy took her one-woman concert to The Leeds Odeon Theater in Leeds, England. Photo: Judy at the Palais de Chaillot in Paris, October 4, 1960. October 16, 1967: Judy sang at a party after an ASCAP salute thrown by “Cue” magazine, at Lincoln Center’s Philharmonic Hall – in the lower level garage! Judy sang “Over the Rainbow” with composer Harold Arlen at the piano, among other songs. 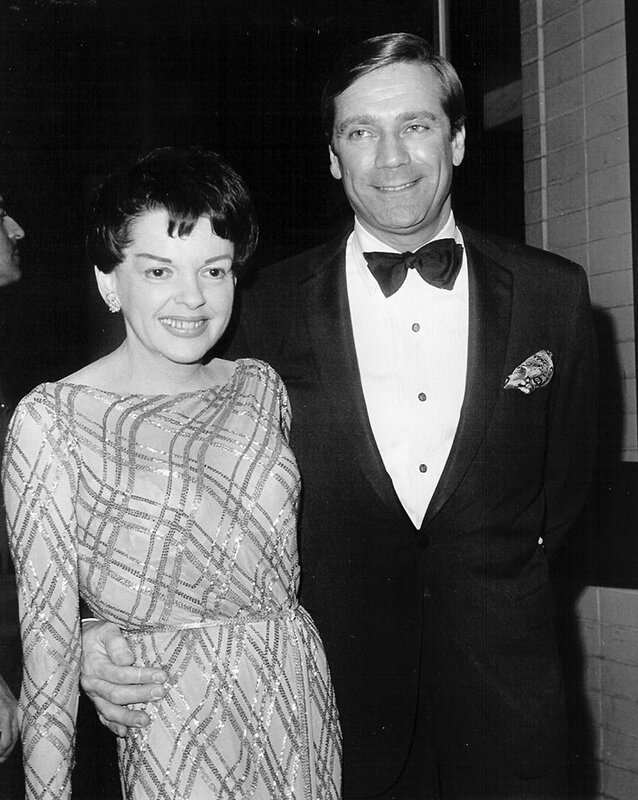 Judy’s date (as seen in these photos) was Paul Millard, the fashion editor for Men’s Harper’s Bazaar. Earl Wilson gave the event some good space in his column which ran in papers across the country for several days. 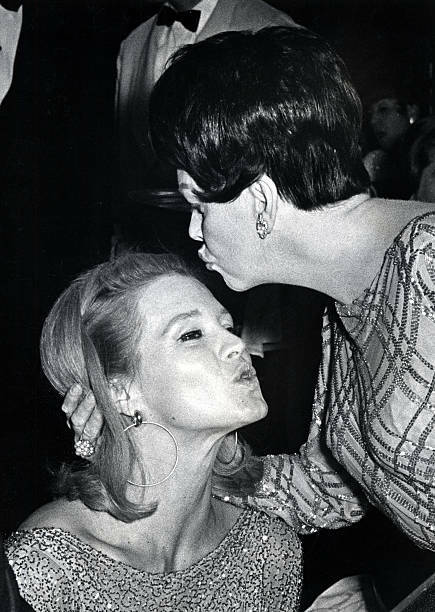 Judy is also seen giving Angie Dickinson a kiss. 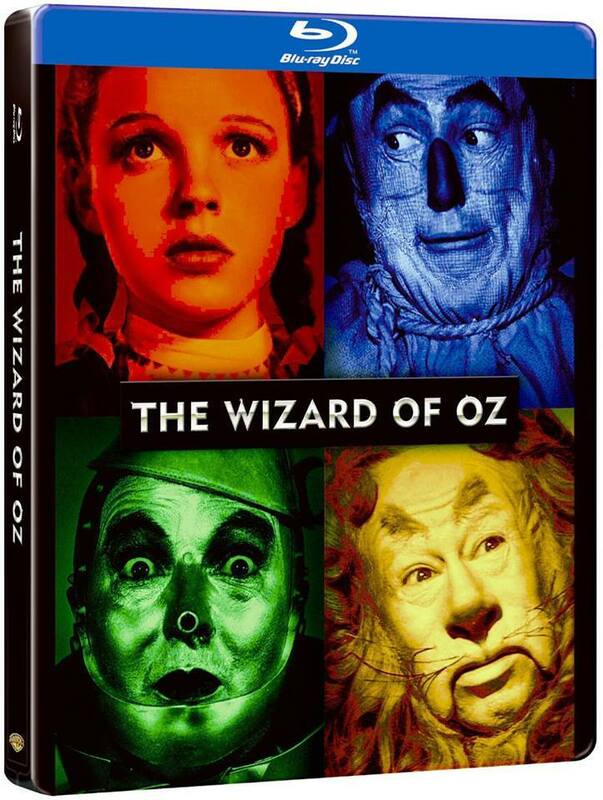 October 16, 2011: This “tin case” edition of the recently restored The Wizard of Oz was released in stores in Canada. 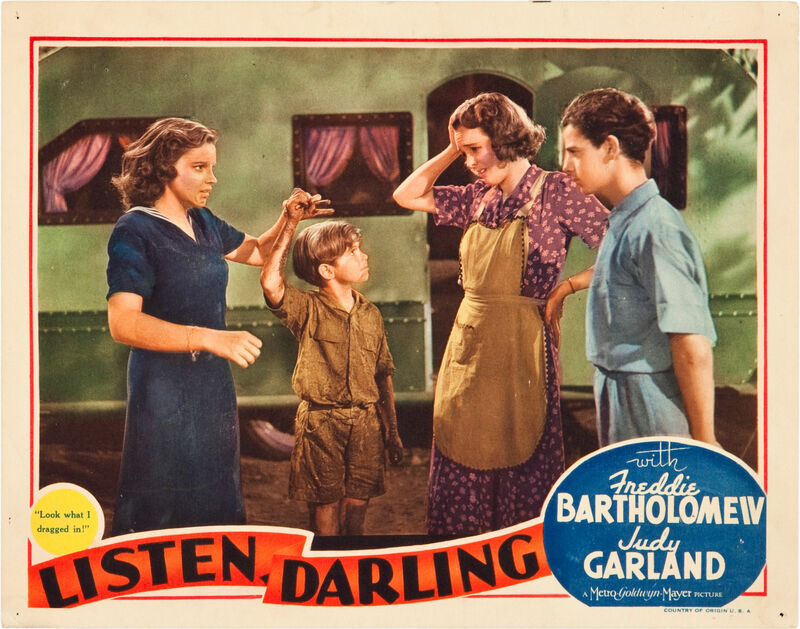 A similar edition had been released in the U.S. Check out The Judy Room’s DVD/Blu-ray pages for details on this and other DVD/Blu-ray releases. 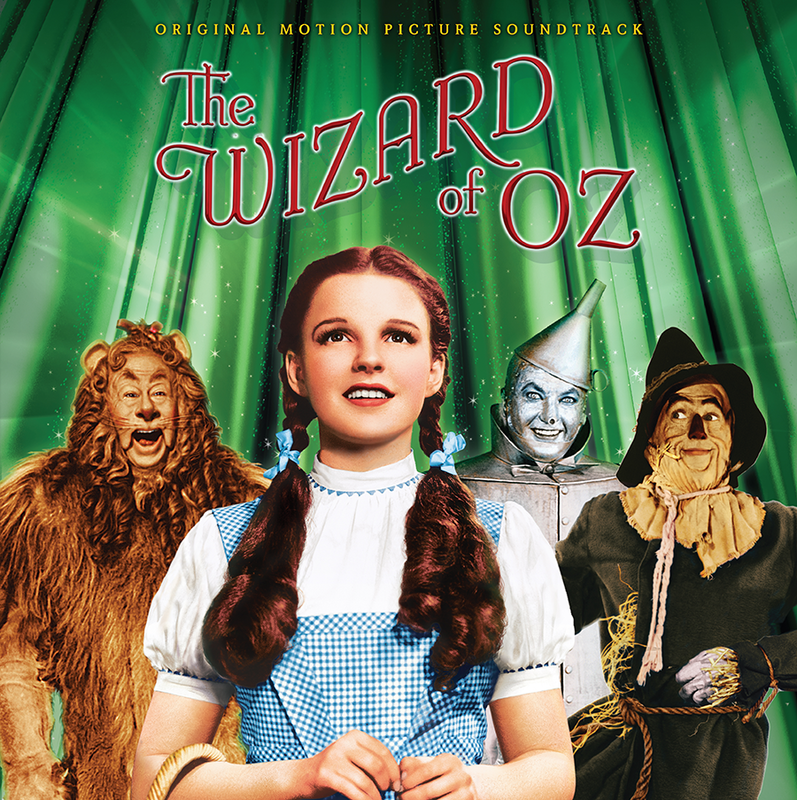 October 16, 2015: WaterTower Music re-released the vinyl version of The Wizard of Oz soundtrack that they had originally released on April 19, 2014, featuring a special green colored vinyl. This 2015 rerelease was almost identical although it was on regular black vinyl and not the green. 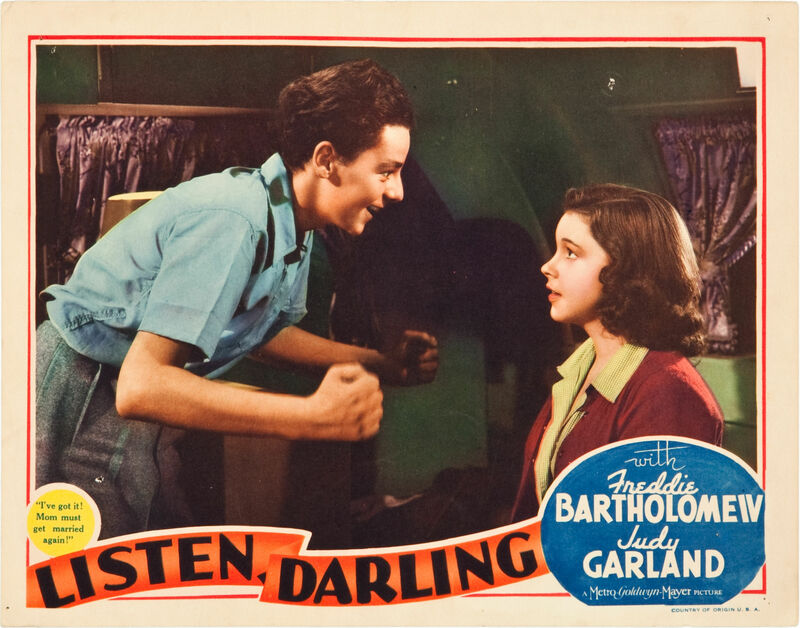 The big selling point for this release (and the producer’s lame attempt to get people to purchase the record), was their promotion of a “newly discovered” audio track of “If I Only Had A Brain” recorded by Ray Bolger and Judy Garland in on October 6, 1938. This recording was NOT “newly discovered” but had been available since the fall of 2009.